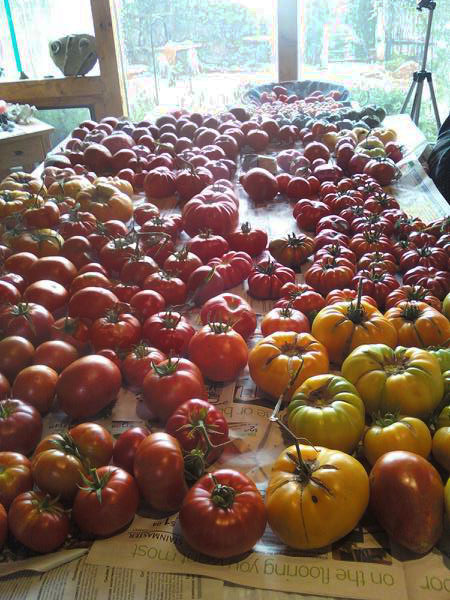 Cosmos, scarlet runner beans, rattlesnake beans, pumpkin, sunflower, zinnias and tomato seeds drying out to be saved-check out my tomatoes in the upper right corner-still have a few and its Nov 7th! I should have put this post before the previous one. Now that our summer garden is done, we should start collecting any seeds we want before we tear out the garden and add amendments in the fall. I have left many flowers and beans to dry on the vine so I can collect their seeds.This has saved me TONS of money and is a fun thing to do. After I collect them, I put them in open containers (cereal bowls or cookie sheets)- not plastic bags until they are thoroughly dry or they will mold and go bad. After they are dry, you can then put them in ziplock baggies. Be sure you date and label the bags so you know in future years what is what. The rule of thumb is seeds will stay usually viable for 2-3 years, sometimes more but the germination rate goes down as they get older-so use your older seeds first next year. Having said that, my only giant squash seed I grew this year came from a 07 seed and germinated and grew beautifully. I thought what the heck, I’ll try it anyways and it set a state record! -I haven’t bought zinnias, cosmos, nasturtiums, sunflowers, marigolds, scarlet runner beans and rattlesnake beans in several years since I’ve saved their seeds. -I will also keep all the gourd seeds but must let them dry out before we cut them open to get the seeds-otherwise the gourds will rot. -I don’t save the seeds from my cucumbers as I grow many varieties and they are pollinated by bees so there is a good chance they have crossed. –I don’t keep some hybrid seeds as they may not grow back true. That means they may revert back to one parent or the other. 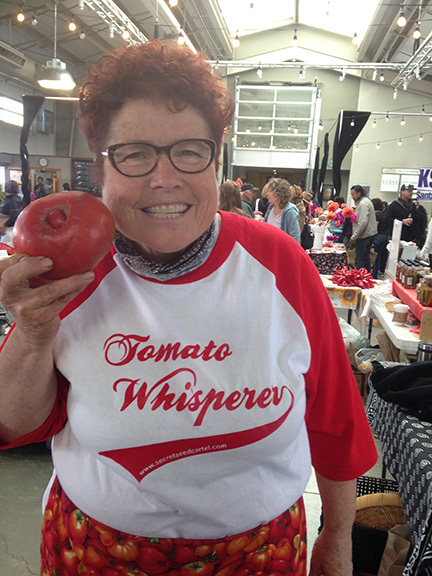 -I only keep seeds from a few heirloom tomato plants as I grow cherry tomatoes and they easily cross with other tomatoes that are close and I don’t want to mix them up with my favorite tomatoes. 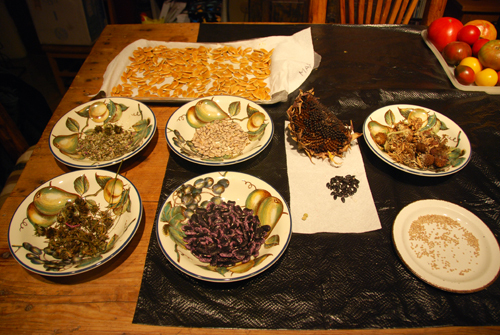 This entry was posted in general, SEED SAVING and tagged collecting seeds, harvesting seeds, SEED SAVING. I was encouraged to imitate you, have already scarlet runner beans, and realize I have a type of tomato, which almost looks like a pepper, but tastes absolutely delicious. I will read the “seed -to-seed” book and follow those direction to preserve those seeds. I was embarrassed when looking at my notes that I did not note what kind of tomato this was. I have a large football shaped area 53 yards long I wish to make into a natural flower garden next year. it will primarily be self sufficient with an occasional watering from me. Is there any way i could receive just a very few of your various flower seeds for this garden? I would be happy to pay you for the seeds and the shipping.